The classic fable retold with simple text for children just beginning to read. 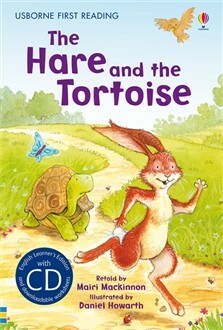 Harry Hare thinks he is the fastest runner around, and when he suggests a race, nobody expects Tom Tortoise to even take up the challenge, let alone stand a chance of winning. But could they all be in for a big surprise? Humorously illustrated by Daniel Howarth.